If there is one place in your house that you aren’t eager to let guests explore, it’s probably your basement. Unless you have recently redone your underground dwelling, this area of your home probably smells a little musty, looks kind of disorganized and is – overall – dingy. Rather than continue to let your basement stay outdated and unappealing, make it the main attraction! With a few tweaks to the overall aesthetic, you can make this space livable, innovative and fun. Having minimal space in your basement adds to the feeling of being uncomfortable and anxious. There’s already less natural lighting, so the last thing you want to do is force your guests into a cramped layout. Removing walls – when appropriate and safe – can help visitors feel free and open while in your home. As years pass, more and more “valuable possessions” find their way into the basement. Whether they are stored in boxes in a corner, or left to collect dust on a shelf, these items make your space looked unkempt and crowded. To help clear out some of these “memories” consider labeling each box to assist in organization. 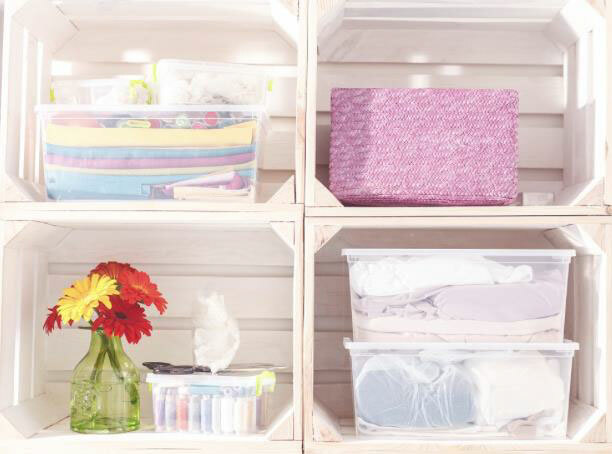 New storage boxes, crates or shelving can also help inspire you to de-clutter and make your storage space more appealing. Having a membership to your local gym can have quite the impact on your monthly income. Not to mention the hassle of actually going! Rather than constantly paying for the same experience, why not make your own? If you have the space, putting mirrors on the walls and having a water-resistant floor can turn your basement into the ultimate workout facility. You can then choose your own equipment to customize your space to meet your fitness needs. 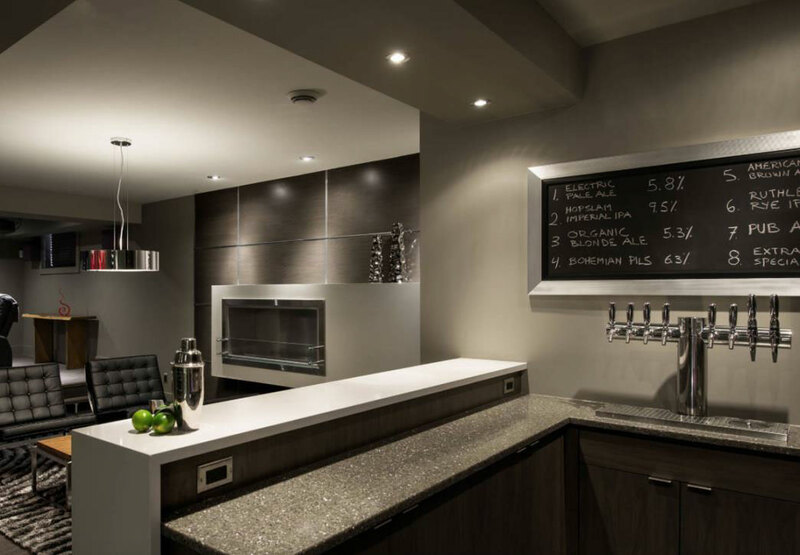 Bars and lounge areas have always been a common basement staple, and now that trend has advanced as micro-breweries and little pubs are becoming increasingly popular additions. Changing the lighting and decorations – while also including the equipment to brew your own beer – can make this area the perfect place to catch up with friends or watch the game. Normally, a house may have one room on the main or upper level to accommodate guests for an overnight stay. 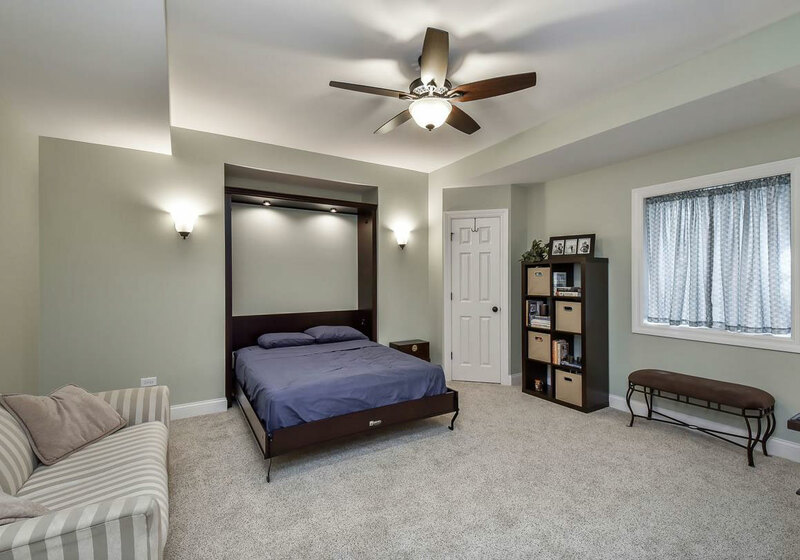 But imagine all the space in your basement that you could dedicate to visitors! Giving them their own room to make themselves comfortable is one way to change the feel of your unused floor. Depending on the size of this area, you could even give your guests their own bathroom, family room or bar! The possibilities are endless.